The first thing we need to make sure is that the acne heals fast. The faster they heal the less of a scar they will leave. 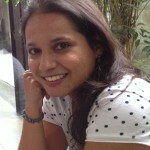 Here are 5 tips which when followed will prevent acne scars from forming after the acne heals. When you have acne, it is natural to want to keep touching your face. To check if the acne are healing or getting smaller. This touchy, feely relationship you have with your face is not great. It achieves nothing. In fact it makes matter worse. It makes is harder for the acne to heal. It irritates your skin and spreads the infection. So no touching the acne to see how big they are or what state they are in. You are not gaining anything by doing this. On the contrary, you are irritating it, in which case it will stay on your face for much longer than needed. Do you really want this? Really need to see? Walk to a mirror and check it out. Do yourself a favour and keep your hands off your face. 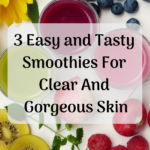 Click here to read how you can actually clear your acne by just leaving your skin alone. Popping or squeezing acne traumatises the acne and the skin around it. It also spreads the infection deep within your skin. 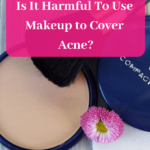 This means you are spreading the infected bacteria around so that they can cause more acne. In addition, you will be left with a pitted scar. Not a red or brown mark, which is relatively easier to remove. 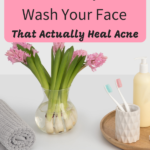 Nothing good comes out of this so leave your acne alone to heal on their own. Whether or not you have acne you need to wear sun protection when you are exposed to the sun. The early morning or late evening sunshine is not too bad, but if you are being exposed to the sun between 10 AM and 4 PM you need to have proper sun protection. If you have acne on your face and it is healing the skin is weak. Which means it cannot protect itself from the sun. Sun exposure may make scars worse or cause skin pigmentation. Neither of these 2 are things you want. Once they form they are really hard to get rid of. In this case you can prevent them. 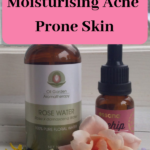 So protect your skin even more when you have acne. Please wear a good sunscreen with an SPF of 30 of higher when going out into the sun. The sunscreen should be broad spectrum. Honey is an antibacterial which not only helps heal the acne faster but prevents scarring as well. Use raw, organic honey as a spot treatment on any red angry acne to calm them down and make them go away quietly without a trace. 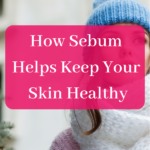 You can even use it as a spot treatment overnight. Wash your face as normal. Apply a teeny bit of honey gently on the acne and around it. 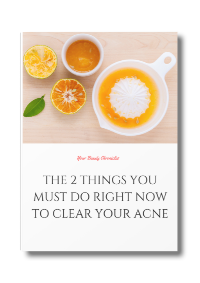 Now, place a bit of gauze or tissue on the acne and leave it there. Repeat this and I promise you’ll see your acne actually shrinking everyday. Finally, drink a lot of water to help keep your skin hydrated and provide an ideal healing environment. Drinking water alone will not clear your acne. But dry, dehydrated skin not only looks dull but it makes it harder for the acne to heal well. Remember the faster acne heal, the less chance you have of a scar forming. Aim to drink at least 2 litres of water everyday. You can also include lemon water and green tea. 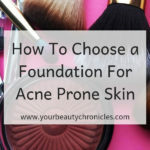 Even if you follow just the first 2 tips your acne scars will be much lighter and after the acne heals and they will go away on their own after a while. I like the recommendation to drink a lot of water. 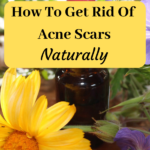 It makes sense that this would be a good way to help your body fight acne and scarring naturally. It’s something I’ll have to remember because acne is something I’ve always struggled with so it’s about time I do something about it. skin, and even skin which has been damaged by the sun. This is very interesting, it sounds like a great solution for those who need it but don’t want to have a more invasive treatment. thanks for sharing!